You know how adolescent dogs are pretty much insane, right? Well somehow Tiger missed that memo because he’s the most chill dog you could ever meet – and he’s only 8 months old. 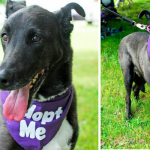 Looking For a Laid Back Companion? Tiger might only be 8 months old but he’s one laid back dude. 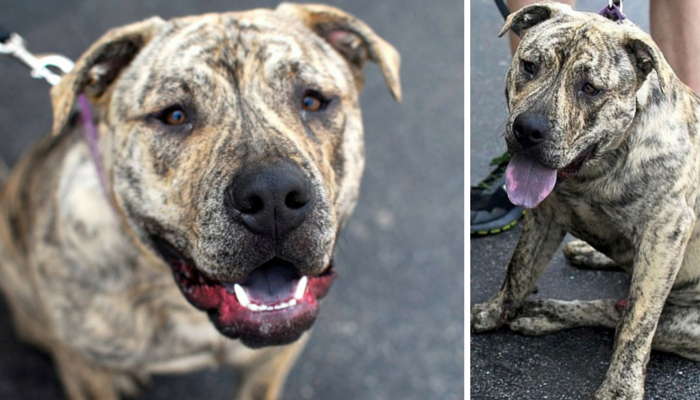 He’s a beautiful Pit/Mastiff mix that’s attentive and already house trained. He’s extremely gentle, sweet, and calm. 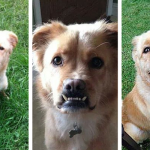 He loves meeting new people, playing with other dogs, and he does very well with older children. 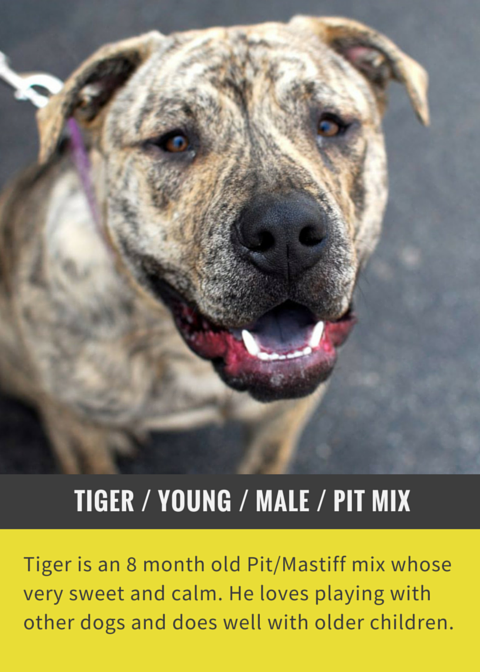 If you’re looking for a sweet young family dog Tiger’s your guy. 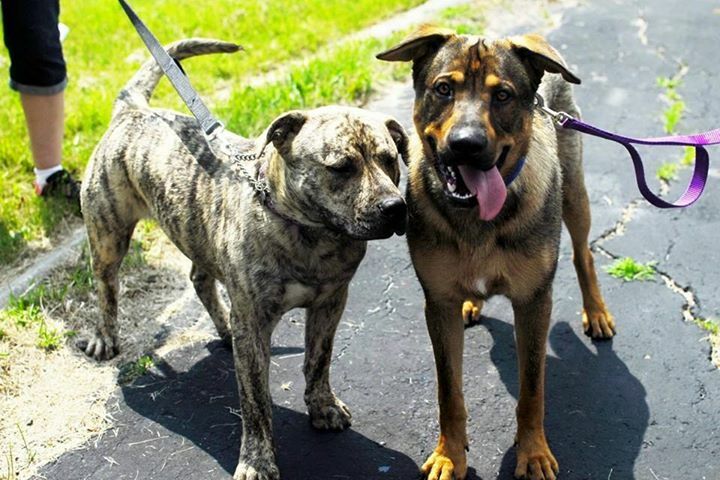 Tiger (left) with his buddy Guardian that was recently adopted. Home Fur Ever is a non-profit 501(c)3 foster-based animal rescue group dedicated to providing temporary foster homes for dogs that have been surrendered, abandoned, or found as strays until we can find them a permanent, loving home. 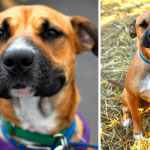 We are a volunteer organization committed to providing each fostered dog a loving, caring, and safe environment, so they may flourish in their new ‘fur-ever’ home. 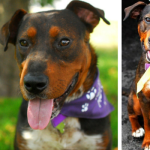 They hold adoption events every weekend throughout the metro Detroit area. Check out their calendar or follow them on facebook to find out about their upcoming events. Home Fur Ever encourages the foster to adopt program. Once you meet a dog you’re interested in they’ll have you submit an application. After the initial approval your dog will go home with you for a couple weeks to make sure it’s the perfect match. 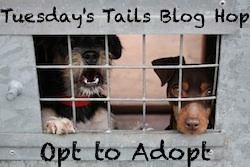 After you decide you want to make your new companion a permanent member of the family the adoption can be finalized. He is so cute! I hope he finds a home soon! He’s awesome! I love brindles. Tiger is absolutely gorgeous and sounds like such a great pup! Shared and hoping he is adopted soon. Tiger has such gentle looking eyes and we hope that forever home shows up super soon. We’ll share him. My heart just melted into a puddle at my feet! Good luck, Tiger! Tiger is very handsome! I bet he is going to be one big friendly dog when he gets older. Sharing I hopes that he finds the perfect home soon. OMG! He is stunning! Sharing and paws crossed for him! I am not a dog person, but would love to meet Tiger. He looks fierce but is gentle, he looks big but act more like a puppy. Dogs (and cats) are such complex creatures – we need to look beyond the cover of the book.